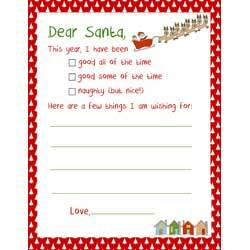 Free letters to Santa - Big selection of Dear Santa letters for kids to write a Christmas wish list to Santa. 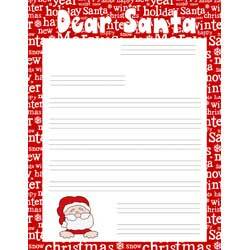 Santa letter templates with ruled paper, letters to Santa with naughty and nice check boxes, printable envelopes addressed to the North Pole. 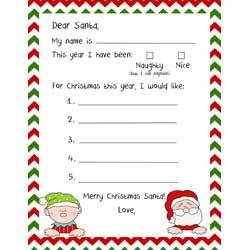 Included are letters to Santa with an empty box for either coloring or drawing pictures or cutting out pictures of toys and pasting into the box. 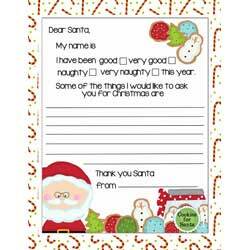 Others use a font designed for children, which uses a typeface with simple, generous letter shapes. 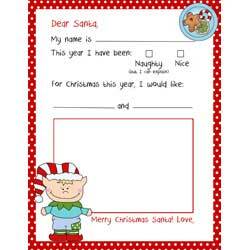 Another selection (see #7 and #8 below) uses the Gill Sans Infant font, designed specifically for children, which uses a typeface with simple, generous letter shapes. 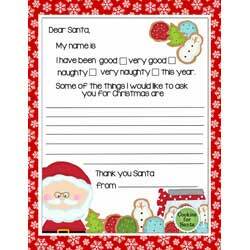 The letters are rounded and open and are traditional - especially the letters "a'' and "g". 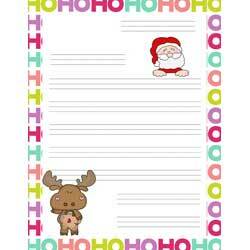 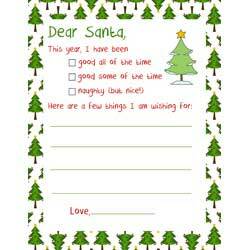 There is also a Letter to Santa version using ruled writing paper for beginner writers (see the last 2 letters). 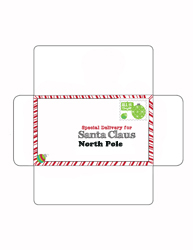 Print a matching envelope with choice of stamps to "mail" the Letter to Santa. 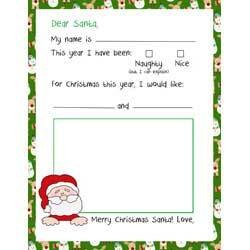 Parents: Read here how to send a letter to Santa and receive one in return.